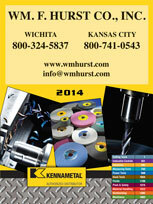 For an outstanding selection of brand-name cutting tools and exceptional customer support, businesses in Dallas, TX, should turn to the professionals at Wm. F. Hurst Co., LLC. 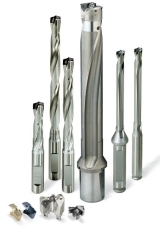 We have been a trusted industrial supply distributor for more than a half century, and we’ve become the distributor of choice for multiple businesses in the area because of our comprehensive selection of high-performance cutting tools and dedication to helping our customers find solutions that can help improve processes and reduce costs within their operations. Identifying the right type of tool for a specific application can be difficult in some instances, but the experts at Wm. F. Hurst are standing by to provide assistance. Our associates have immense knowledge of all of the products in our inventory and expertise across a wide range of industries, so they can be trusted to help you purchase the right tool for the job. Contact Wm. F. Hurst today if you would like to receive more information about any of the cutting tools or other industrial supplies we offer to businesses in Dallas, TX.